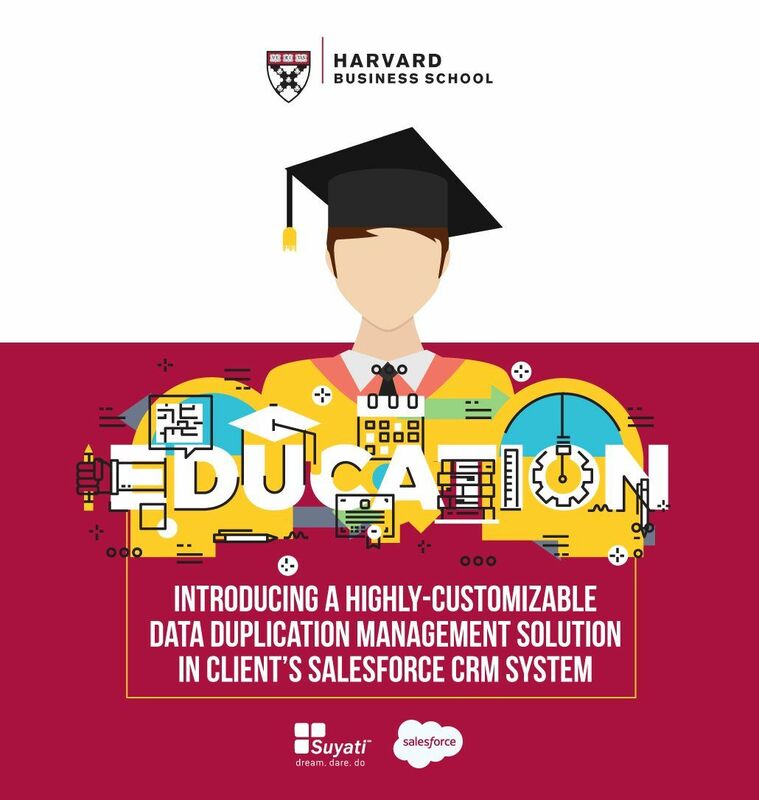 Harvard Business School, One of the world’s most prestigious institution for business studies wanted a duplicate data management feature in its CRM system powered by Salesforce. The end goal was to achieve only qualified leads in the HBS CRM system. Suyati designed and developed a comprehensive system that identifies only qualified leads from the huge influx of enquiries thereby making the task of CRM executives easy. Our customer was able to boost productivity big time with minimal investment and has gained significantly on their CRM ROI thanks to our implementation support. To know more about how our solution helped HBS, download your free copy by filling the adjacent form.